Chris Froome has paid tribute to his Team Sky team mates for their part in his Tour de France victory. He also told ITV News next year's Tour, which starts in Yorkshire, "is going to be massive" and "an exciting element." 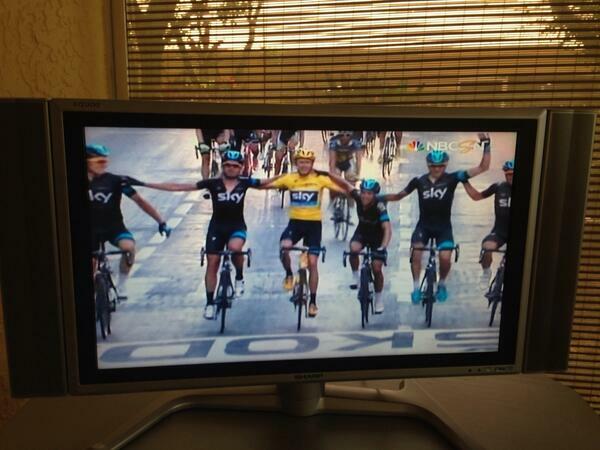 Chris Froome won the 100th Tour de France crossing the line riding arm-in-arm with his team mates. As Chris Froome looks set to claim Tour de France victory, we look back at some of the craziest fans on who lined the route.